Jpchronicles's Blog | The life and times of Jeff Pendergraph! 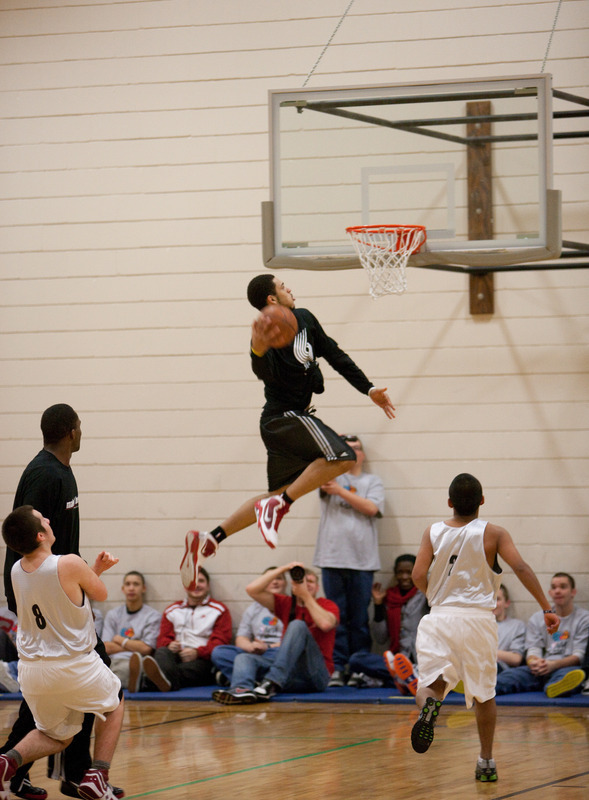 Davis Didn’t Have A Chance! 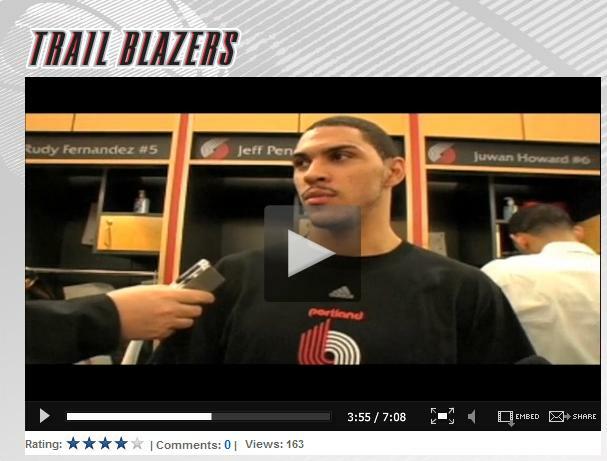 pdxtrailblazers Video: @TheRealJP31 sends Baron Davis’ buzzer beater into the third row, follows up with the scream. Baller! Here is a postgame video of Pendergraph, Roy, and Bayless after their win against the Clippers! Click the link below to view it on the Trailblazers website! 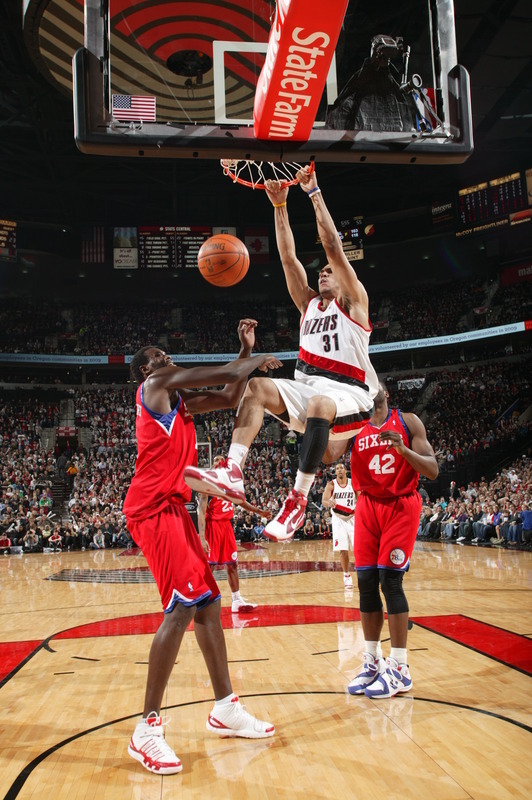 Pendergraph has only played in less than 10 games during his rookie year on the Portland Trailblazers. Though he has has had a short time on the court, he has made a huge impact since the recent injuries of his fellow teammates. Though the list of injuries has now continued with Lamarcus Aldridge spraining his ankle in the Trailblazer’s game against the Clippers, the team was still able to pull off a win with 103 to 99 over their opponent! Pendergraph was a contributing part in this win by scoring 8 points and also helping the team on December 28th against the 76ers, by scoring 11 points! I’m guessing that hip surgery actually payed off, because he is playing like he never left the court in the first place! I have som e very exciting news! My good friend Jeff Pendergraph is finally able to play on the court with the Portland Trailblazers! He was injured from having hip surgery earlier in the season, and he has not been able to play since he made it on Portland. During this time, he’s been working out with a trainer and doing rehabilitation on his hip. He’s been very optimistic and FINALLY he was able to play yesterday!